The massive volume of legendary TV horror host - Zacherley compiled by his close friend Rich Scrivani with Tom Weaver. 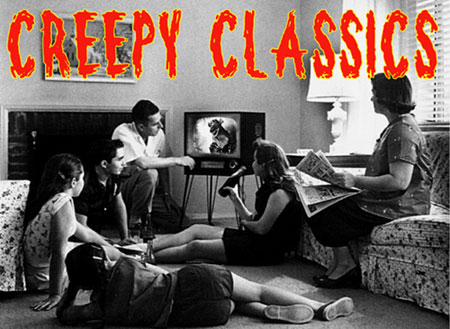 Vintage newspaper and magazine articles, handwritten notes, scripts, correspondence, scores of scary rare stills! A must for all horror host fans and Zach followers! TV Horror Host legend Zacherle originally did a book along these lines in the 1960s. John Skerchock updated and added more and different photos in this humorous, fun-packed book with "The Cool Ghoul!" For all Zach and horror host fans and collectors! The hardcover edition from 1976 by Rose London. A great book on the living dead in classic horror film! They're all here: Boris Karloff, Bela Lugosi, Lon Chaney and films from THE MUMMY to Mexico's THE VAMPIRE many rare films. Packed with photos. Dust jacket intact. By Peter Dendle. The exhumation of zombie films from obscurity is accomplished in terrifying detail in The Zombie Movie Encyclopedia. The first exhaustive overview of the subject, this book evaluates over 200 movies from 16 countries over a 65-year period starting from the early 1930s.